These table runner patterns are simply darling! Don’t you love the way the hearts and stars interlock? The subtle striped backgrounds add texture to these designs. 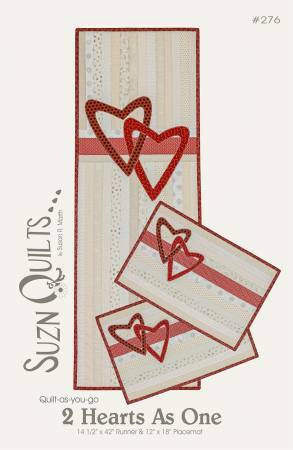 And, since they are 18 inches wide, one backing can be used for both of them! 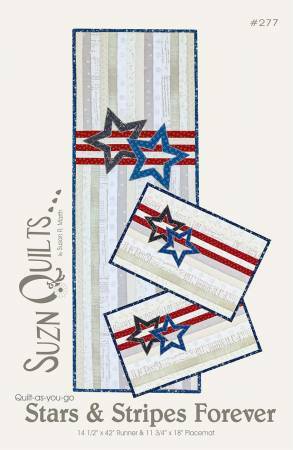 This entry was posted in Home Decor, Patterns, What's New and tagged Susan Marth, SuznQuilts by Penny Haren. Bookmark the permalink.